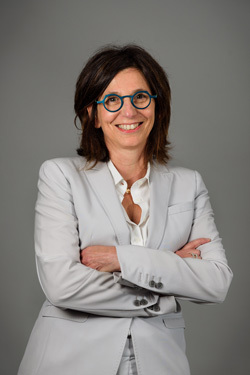 Initially involved in fundamental research in retrovirology, Pascale Bouillé has worked in a number of government and biotechnology research laboratories before creating Vectalys in 2005. 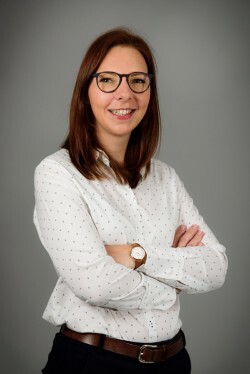 From her early days as a PhD student for the Gustave Roussy Institute (Professor Claude Paoletti) and postdoctoral researcher for the Pasteur Institute (Professor Luc Montagnier), she built up over 15 years' experience in R&D projects in the fields of drug discovery and virology. 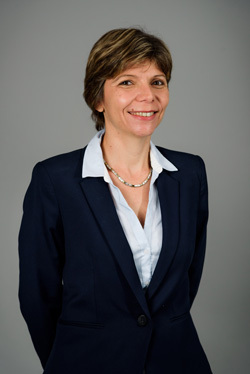 Pascale Bouillé then participated in various programs, first, by conducting gene therapy trials for the Genethon laboratories with Dr Olivier Danos, then followed by the successful transition of viral vector tools from a technology-based to a commercially oriented product with Vectalys. 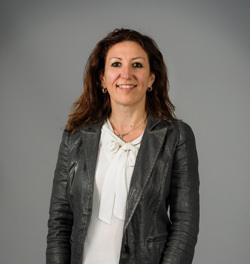 Pascale was also the CEO of FlashCell. At the head of all the Flash Therapeutics’ team as the CEO of the Company, she provides a strong scientific background and a high level of expertise to scientists, project leaders and all the clients of Flash Therapeutics worldwide. Luc AGUILAR gathers 20 years of experience in the biotech, pharmaceutical and the cosmetic Industry. He joined L’Oreal seven years ago to build the biotechnology Department in Advance Research. He is now leading Advanced Research activities from Scientific Knowledge to Clinical Performance for skin and hair categories. From 2005 to 2011, he was at Pierre Fabre’s Group, a mid-size pharmaceutical company, as Vice-President Scientific Affairs. During this period, he set up and led an innovation structure dedicated to clinical proof of concept studies. Prior to that, he managed operations in Biotech and start-up companies in genomics for corporate clients from 1995 to 2001. He earned a MS in Biotechnology from I.N.S.A.Toulouse, France and a PhD experience at Pierre et Marie Curie University. Jean Pierre Arnaud received his D.V.M. from the National Veterinary School of Maison-Alfort, France, then got a certificate in Nutrition for food-production animals (CSAAD) and a specialization in poultry production from the National School of Agronomics of Paris-Grignon, he also got a certificate in Statistics from University of Paris VI. He co-founded Avogadro in May 1998 after having worked ten years at Rhone Merieux/Merial starting as clinician and finally as Manager of the Drug Safety Department. Prior he was, for seven years, veterinary technical advisor in animal food at a French company after practicing for five years mainly as a bovine and sheep medicine veterinarian. He was the General Manager of Amatsigroup resulting of the merger of Avogadro and Amatsi in 2013 and of Avogadro LS, a company specialized in in-life studies until 2018. He continues to provide his expertise and advices to his clientele. Jean-Pierre Arnaud is a shareholder of Flash Therapeutics. Veterinary surgeon, Thierry Bardon worked in medicine R&D, health (Rhône Poulenc Santé), Animal healthcare (CEVA Santé Animale). He is involved in numerous startups and acquired financial skills when he joined Fa Dièse in 2007 to provide young entrepreneurs all his experience in the healthcare industry. Graduate of ESC Reims (RMS) and holder of DESCF, Claudia DAUGAN began her career in 1997 at KPMG Audit in Paris where she carries out statutory auditing and consulting assignments for a banking clientele. In 2000, she joined Calyon's Equity Capital Market team, which is responsible for structuring and executing the issuance of securities of major groups (listed equities and convertible bonds). 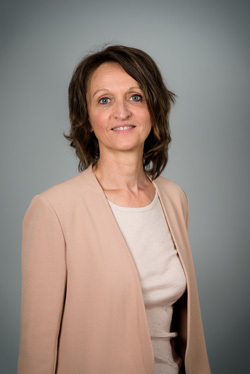 From 2004 to 2009, after joining the Bordeaux region, she continued her career at Crédit Lyonnais as Deputy of Corporate Finance. She accompanies SME managers and buyers of companies in their "equity financing". Since 2009, Claudia DAUGAN has strengthened the team of investors of GALIA Gestion as Senior Business Manager and then Director of Investments. She currently follows a portfolio of a dozen companies in diversified business sectors (ICT, Services, Medical). Franck Lescure joined Elaia Partners in 2018 as Partner in charge of Life Sciences investments. In 1990, he started his carrer as a scientist in Genset, one of the first French biotech startups. In 1997, he joined the Healthcare subsidiary of the Air Liquide group, as manager of developments related to medical oxygen and of indoor air control services. In 2002, Franck started his investor career at Crédit Lyonnais Private Equity. In 2004, he joined Auriga Partners as Partner in Life Sciences. Before joining Elaia in 2018, he was the Head of Life Sciences investment at Auriga Partners, in charge of the AURIGA IV Bioseeds Fund and directly in charge of investments in Amoeba (Euronext: AMEBA), Cytoo, EnobraQ, Erytech Pharma (Euronext: ERYP), Fab’entech, Flash Therapeutics, Pherecydes, Median Technologies (Alternext: ALMDT), Nosopharm et Pylote. A Board of accomplished senior experts in pharmaceutical R&D, Health & Life Sciences, Gene Therapy and Branding to give strategic, innovative & accurate advices for the development of the company, especially for business development, licensing strategy, global brand strategy, regulatory affairs and therapeutic & (pre) clinical developments. Members of this Flash Therapeutics Strategic Advisory Board have a strong background in pharmacology and gene therapy, including product development, and clinical trials approval. Graduated from Paris University where he received a Ph D in 1985 and a M.D. 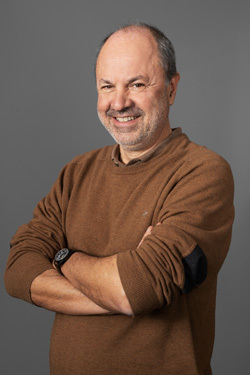 in 1990, Nicolas served as a scientist at the French National Institute for Health Science (INSERM) for more than 25 years. 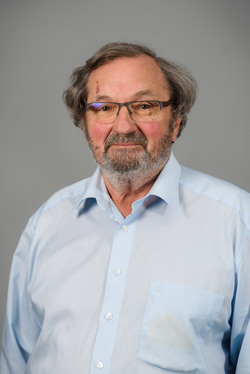 He focused his interest in liver research (creation of its own INSERM lab in Nantes in 2009) and contributed to clinical trials of cell based therapy for liver diseases. Following a role of gene therapy expert for the French regulatory authority, he joined the agency as head of the department of vaccines, blood derived products and advanced therapies. 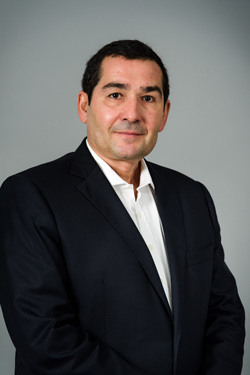 Nicolas is now senior advisor at the cell therapy department of Saint Louis Hospital in Paris and works as a private consultant in the field of ATMPs. Nicolas Ferry co-authored more than 100 scientific publications. Jean-Marc Herbert received an Engineer Degree in Biochemistry and a Ph.D. in cellular and molecular biology from the University of Clermont-Ferrand, France. He has more than 30 years of industrial experience in pharmaceutical R&D. During 10 years, he worked as International Director of the Cardiovascular/thrombosis Research Department for Sanofi R&D. He was Senior VP, in charge of Discovery at Sanofi-Aventis Research, the interim Head of the Anti-infectious Unit and Head of the Early-to-Candidate (E2C) department at Sanofi. He played key roles in the discovery of more than 20 compounds including Plavix® and Arixtra®, and actively contributed to the discovery and development of more than 70 other. He has authored more than 400 papers and is listed as an inventor in more than 50 patents in various fields, including thrombosis, vascular biology, inflammation, cardiology and cancer. 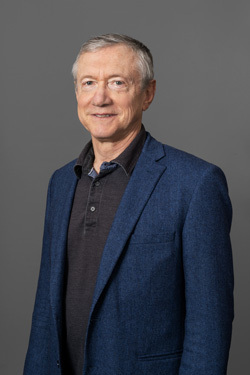 Since January 2016, J-M Herbert is the President of Arkely-Consulting, a translational research consulting firm focused on helping biomedical science-based organizations to solve complex challenges associated with modern drug discovery and development. Since January 2017, he acts as a Venture partner for Go Capital, one of the biggest investment funds in France. 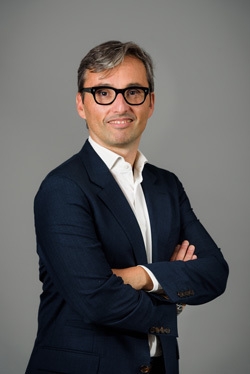 Jean-Christophe Huertas has more than 25 years of experience in Brand & Communications within worldwide companies in global and complex organizations. After 8 years (1991-1999) in media relations at Airbus, Alcatel and Rhône Poulenc (Rhodia), he was given global corporate & public affairs communications responsibilities: Rhodia Senior VP Communications & Executive Committee member (1999-2005) ; Executive VP Communications & Public Affairs of Nestlé France & Executive Committee member; Managing Director, Brand & Communications & Executive Committee member of Newedge (50/50 JV between Société Générale and Crédit Agricole), a leading Company in the world of multi-asset brokerage (2008-2012). Then, he joined in 2013 the international FTI Consulting Strategic Communications practice, as Vice-President leading the corporate communications and media Department. Since 2014, he is the CEO of H2D Advisory, a consulting & advisory firm specialized in Strategy & Communications. JC Huertas obtained a degree in law and is a graduate of the Institut d’Etudes Politiques. He as a post-graduate diploma (DESS) in Defense & International Relations of the University Paris 2 Panthéon-Assas. 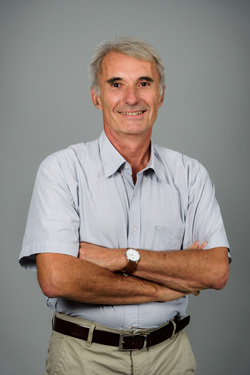 Alain Sainsot holds a university degree in Pharmacy and a MBA. He has over 30 years of experience in Pharmaceutical Development and Manufacturing. He was until February 2018 the President of AMATSIGROUP, a CDMO specialized in the subcontracting of formulation and analytical development, manufacturing, distribution of clinical lots and the quality control (small & large molecules). In 2006, he has founded DBI, a CMO specialized in outsourcing of highly potent injectable sterile drugs (anticancer drugs, vaccines, biotechnology products) for pilot batches, pre-clinical or clinical. During his career, Alain Sainsot hold executive positions in the pharmaceutical industry: Director of Industrial operations and logistics of the PIERRE FABRE Group, member of the Executive Committee ; industrial Director and Qualified Person of PIERRE FABRE MEDICAMENT and plant manager of AQUITAINE PHARM INTERNATIONAL (facility dedicated to sterile manufacturing, mainly involved into CMO Business) ; plant manager in agrofood industry area. Alain is also Board member of the Innovation and Development Agency (ADI) from the Regional Council of Aquitaine. Alain Sainsot is a shareholder of Flash Therapeutics. With more than 20 years' experience in the development of HR policies for international groups, Brigitte joined Vectalys in 2008. She has gained extensive knowledge from working in different R&D environments including a large American technology company and a leading CRO. Brigitte manages the administrative organization at Flash Therapeutics directing and overseeing policy related to staff and ancillary services. She ensures the development and progress of the company’s organization and has set up a genuine HR policy to support company growth and to prepare Flash Therapeutics for the developments of tomorrow. With a training in Biochemistry and Business, Jean-Pierre Saintouil has a 35 years experience in the field of Health and Life Sciences. 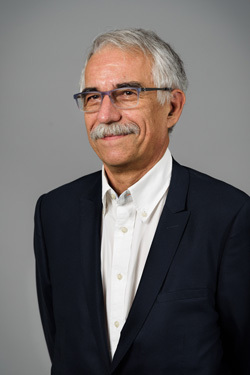 He has been successively responsible for International Sales and Director Marketing at Sanofi and Beckman, Director of Business Unit for Bio-Rad, Director of Technology transfer and Licensing at Pasteur Institute, Director of the Cancer-Bio-Santé Cluster and Director of the health Business Unit of Toulouse-Tech-Transfer. Yohann obtained his master's degree in biotechnology and bioproduction (ENSTBB). He then moved to the UK, working as a process development scientist at Oxford BioMedica Ltd, where he acquired hands-on experience in the development of a phase III clinical trial process for lentiviral vectors. Yohann joined Vectalys in 2009 as process development project manager. Always attentive to customers' needs, Yohann quickly became in charge of customer technical support in 2011 and his functions included helping customers with the development of their vector application projects. 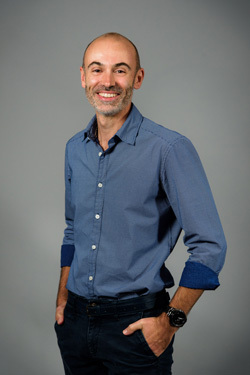 In parallel, he has acquired strong skills in marketing and webmarketing following a dual training in marketing and sales techniques from Toulouse Business School. Yohann is now Marketing Manager with extensive experience in digital marketing. After an initial qualification in cell biology and biotechnologies, Sandy specialized in intellectual property with a master’s degree of Intellectual Property and New technologies (Paul Sabatier University, Toulouse-France) and a master’s degree Patents and Trademarks of the Center for International Intellectual Property Studies (CEIPI, Strasbourg-France). After a first experience in a biotech company, Sandy joined Vectalys in 2012 to developp its patents portfolio. 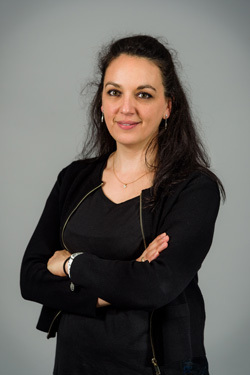 With these double skills, she is now in charge of Flash Therapeutics intellectual property strategy, including patents and in/out licences management. Her functions include the management of contractual aspects with Flash Therapeutics’ customers and partners. Vincent graduated from EDHEC Business School in 2014. He first gained experience in corporate finance while working as Financial Auditor at Ernst&Young and Financial Analyst at Alstom Transport. He then participated in the creation and growth of 6 tech startups as a freelancing operations and finance consultant. Combining his passions for tech environments, startups and corporate finance, he joined Flash Therapeutics as Finance Manager in 2018. Lucille joined Vectalys in 2011. She began her career as a PhD student and scientific engineer in 2002 doing academic research in the field of life sciences. Since then she has successfully led the introduction of new technologies in biochemistry, genomics and molecular biology, including high-throughput experiments and the development of heterologous expression systems. Her in-depth knowledge of the processes involved in the development of expression systems significantly helps to understand our customers’ needs. Lucille helps customers to identify and implement relevant tools that will bring value to their research. After an MSc degree in cellular and molecular biology from the University of Montpellier, France, Régis began his career in an academic laboratory (INSERM, Paris) where he initiated a transcriptomics project to help understand Type I diabetes. 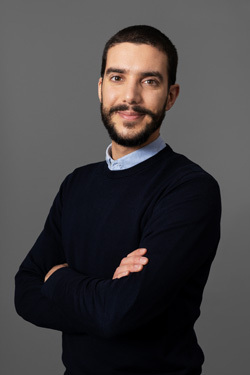 Régis then spent 5 years as an R&D associate scientist at Endocube (Toulouse, France) where he was involved in a cellular genomics project, acquiring expertise in the purification and culture of primary cells in the field of vascular biology. 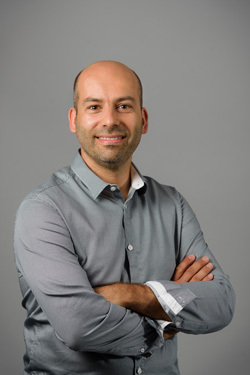 Régis joined Vectalys in 2005 as head of the Cell Models team. 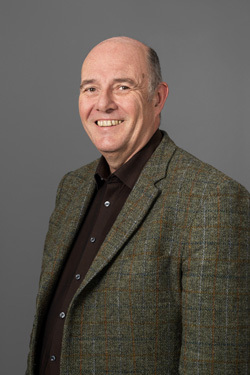 Since September 2012, he is also in charge production development, purification and concentration of viral vectors, bringing his expertise in cellular biology to ensure performance and reliability of viral vectors produced at Vectalys. 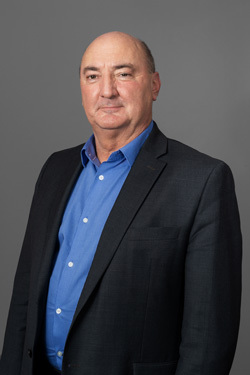 As head of the Vectors and Cell Models Teams, and strong of his experience of over 12 years in cellular and molecular biology, he oversees the viral vector production process and its enhancements, as well as manages the generation of new cellular models, from design to delivery, for use in the fields of bioproduction, gene target validation and drug discovery. Christine obtained her PhD in 2000 and then worked for eight years in the United States and France, where she successfully led various projects examining immune responses in different animal models for autoimmune diseases. She gained experience in in vivo experimentation, animal care, biochemistry and cell biology after spending several years in academic research before becoming the head of the Animal Models department at Vectalys in 2008. Her knowledge is now a key element for the development and testing of new animal models for Vectalys’ customers. 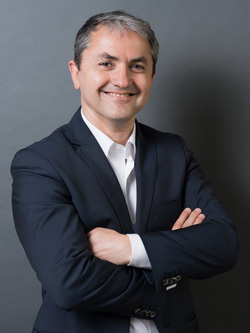 After earning a master’s degree in Biochemical Engineering from the National Institute of Applied Sciences of Toulouse (INSA, France), Stéphane acquired bioprocess development expertise mainly in the Pharmaceutical Industry. He began his career in virological & bacteriological process development for animal vaccines at Merial Ltd., involved in various projects such as virus-inactivated, DNA plasmid or recombinant protein process development and alternative vaccine inactivation. Then, he joined Virbac laboratories for improvement of animal viral vaccine production processes and exploring innovative bioprocess & bioanalytical solutions, and moved to Merck Biodevelopment where he was involved in Quality By Design (QbD) studies for a phase II product. 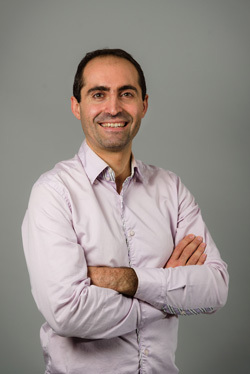 He joined Flash Therapeutics in a position of Industrial Development Manager so as to lead viral vectors process development & scaling-up team, with the objective of implementing the GMP lentiviral vector platform at Meary platform and on Flash Therapeutics own GMP facility at Toulouse, as well as to explore innovative bioproduction solutions for further manufacturing scaling-up. After earning a master’s degree in Biochemical Engineering from the National Institute of Applied Sciences (INSA, France), Carole specialized in the Quality field. In 2002, she earned a second master’s degree from the Institute of Food Industry (ISAA-P, France). For 10 years, she worked on several Quality Systems certifications: ISO 9001, ISO 22 000 – HACCP, GMP, ECOCERT and ECOCERT Greenlife (COSMEBIO) in probiotics, food supplements and herbal drugs industries. 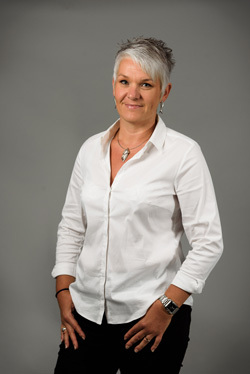 Carole joined Vectalys in 2012. Today, she supervises the Quality department (Quality Assurance and Quality Control). Part of her mission is to ensure the implementation of Good Laboratory Practices and Good Manufacturing practices in the production process. She is also in charge of supporting Flash Therapeutics in its international development and managing our Assurance Quality system for continuous improvement.